Kirik Party: Good news for all the Jacqueline Fernandez fans as the actor has been roped in for Abhishek Jain's directorial Kirik Party. In the film, Jacqueline will be seen opposite Kartik Aaryan for the first time. Marked as the Hindi remake of Kannada super-hit film that goes by the same name, Kirik Party will hit the floors next month, i.e October. Kirik Party: After much anticipation, the makers of the upcoming film Kirik Party have revealed the leading lady of the film. 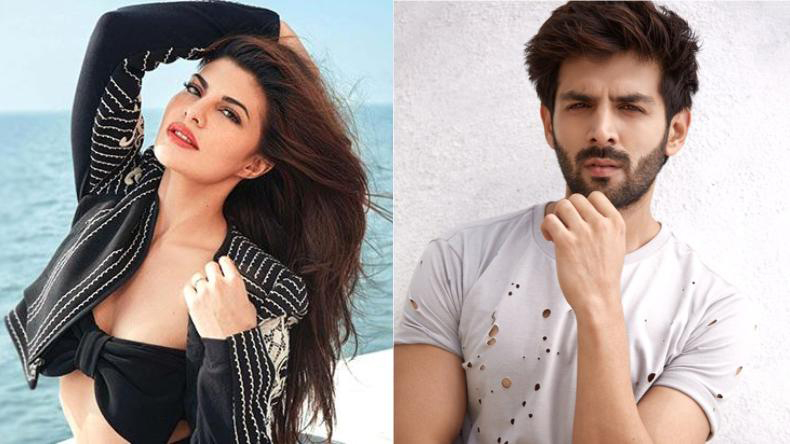 None other than Jacqueline Fernandez, who was recently seen in Salman Khan’s Race 3, will be seen romancing Kartik Aaryan in the film. Film critic and Trade analyst Taran Adarsh shared the news on his official Twitter handle by posting a photo in which Jacqueline can be seen striking a pose with the film producer Ajay Kapoor. In the photo, Jacqueline can be seen in a strikingly different avatar as she smiles bright for the camera in a colourful shrug paired with a white camisole and blue denim styled with a brown bag and a multicoloured folder in her hand. It is estimated that this will be Jacqueline’s look in the film. Speaking about the same, a source close to a leading daily revealed that the diva really liked the script of the film and recently gave a look test for the same. The makers will begin workshops and readings soon. Confirming the news, the producer of the film stated that they are excited to have Jacqueline on board for the film as she is someone who the youth can relate to. Kirik Party will be bringing together Kartik and Jacqueline for the first time onscreen and the makers are confident that the audience will enjoy watching this fresh pair. Helmed by Abhishek Jain and bankrolled by Dheeraj Wadhwan, Ajay Kapoor and Vrithika Layka, Kirik Party is the Hindi remake of super-hit Kannada film that goes by the same name. The film is expected to hit the floors in the month of October. Apart from Kirik Party, Jacqueline will be seen in upcoming films like Drive opposite Sushant Singh Rajput while Kartik will be seen in Luka Chuppi opposite Kriti Sanon.